Geneva/New York, 3 April 2000 — The international medical relief agency Médecins Sans Frontières (MSF) today welcomed the announcement that Pfizer will donate the anti-fungal drug, Diflucan. (fluconazole), to AIDS patients in South Africa, but cautioned that a donation is not a long-term solution for saving the lives of people with AIDS worldwide. "We are pleased that this donation - if implemented effectively - will save lives in South Africa. However, from our experience working in over 80 countries, we know that drug donations are not a global and sustainable solution to the AIDS pandemic," stated Bernard Pécoul, M.D., director of MSF's Access to Essential Medicines Campaign. "For the vast majority of the 32 million people with HIV/AIDS in developing countries, Pfizer's action will have no impact," continued Dr. Pécoul. 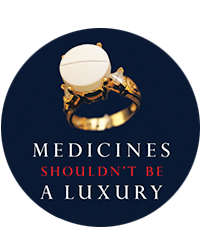 MSF is calling on pharmaceutical companies to use mechanisms other than charity to make life-saving drugs available to people in poor countries. This could be done most effectively by lowering prices to affordable levels - through tiered pricing - or by issuing voluntary licenses that would allow for the importation or production of generic versions of treatments. "We're delighted that at least one step has been made toward providing treatments for AIDS patients - but is it a sustainable option?" stated Chris Ouma, a physician who works with MSF at Mbagathi Hospital in Nairobi, Kenya. "We're very happy for the South Africans, but for me, as a Kenyan doctor, and for the Kenyan patients dying from cryptoccocal meningitis, it doesn't help much." In Kenya, where Pfizer continues to hold the patent on fluconazole, the drug remains prohibitively priced and the majority of patients diagnosed with cryptoccocal meningitis die without treatment. Médecins Sans Frontières (MSF) is conducting an international campaign to improve access to essential medicines in poor countries.